No more setup for readers. It just works. MathJax™ uses CSS with web fonts or SVG, instead of bitmap images or Flash, so equations scale with surrounding text at all zoom levels. MathJax is highly modular on input and output. Use MathML, TeX and ASCIImath as input and produce HTML+CSS, SVG and MathML as output. MathJax is compatible with screenreaders & provides zoom for everyone. You can also copy equations into Office, LaTeX, wikis, and other software. Our homepage is configured to use MathJax's CommonHTML mode with web fonts to display the equations, which produces uniform layout and typesetting across browsers. But MathJax can also be configured to use HTML-CSS (for legacy browsers), SVG, and native MathML rendering when available in a browser. You can try the various output modes using the MathJax context Menu (which you access by ctrl+clicking / alt-clicking an equation) or the button below. Type text in the box below. Include some math as MathML, wrap TeX in $ or $$ delimiters, and ASCIImath in ` delimiters (pre-populated jsbin). The text you enter is actually HTML, so you can include tags if you want; but this also means you have to be careful how you use less-than signs, ampersands, and other HTML special characters (surrounding them by spaces should be sufficient). MathJax provides a powerful set of accessibility extensions that provide navigation, exploration, and voicing on the client. You can find more information in our introductory video on YouTube. and our documentation. Using the MathJax context menu, you can access the source of any mathematical expression either in MathML format, or in TeX if its source format was TeX. To access the MathJax menu, right-click on a math formula (if you are using Windows), or Control-click it (if you are using a Mac) or touble-tap and hold on a touch device. In the sub-menu Show Math as you can choose between MathML Code and TeX commands to get a pop-up that allows you to copy the math source into another application. Try it out on the equation below! You can also watch our screencast on YouTube of a MathJax equation being copied and pasted into a variety of applications below. Note that this screencast is based on MathJax v1.1 so the menu structure is a little different. Whether you're a casual user, a serious author or a professional developer, it's easy to integrate MathJax. Use our extensive APIs to create interactive content, advanced authoring tools, and math-enabled web and mobile apps. MathJax generates high-quality output on all browsers & platforms - even on IE 6 (if you have to). We host our code, docs, and this site on GitHub. Please report issues & submit patches! You can ask general questions on the MathJax-Users mailing list where the entire community will chime in. Adding MathJax to your web pages is easy to do. If you are using a Content Management System (like Wordpress, Moodle, or Drupal) to generate your web site, there may be a plugin to add MathJax to your site already, e.g., for Wordpress or Drupal. You may need to download or activate the plugin, if one is available. If you are using specialized authoring tools, such as LaTeX or Markdown, they might integrate MathJax out of the box or have plugins, e.g., for LaTeX, Markdown, or even epub. Here's a pre-populated example on jsbin you can re-use. Note: the configuration file TeX-MML-AM_CHTML is a great way test all input options at once. You can find leaner combined configuration packages in our documentation. Although this refers to a specific version, the latest.js file will load the most current version regardless of the one you specified. If you are a developer who wants to integrate MathJax into your workflow, you can download a copy or fetch it from npm or Packagist and configure MathJax yourself. If you prefer to render server-side, you can check out mathjax-node. Our extensive APIs allow developers to create everything from interactive content, to advanced authoring tools, to math-enabled web and mobile apps. The HTML-CSS Output supports even IE 6+ (as well as Firefox 3+, Safari 2+, Chrome 1+). The CommonHTML Output supports IE 8+ etc. The SVG Output supports IE 9+ etc. The MathJax project was initiated in 2009 by Design Science, the American Mathematical Society (AMS) and the Society for Industrial and Applied Mathematics (SIAM) with the goal of creating a robust, easy-to-use, and universal solution for displaying high-quality mathematics online. From the beginning, MathJax was conceived as open-source software, on the principle that math display should be part of the common infrastructure of the web. Providing a universal solution for online math display requires a long-term commitment. Our users need MathJax to be reliable and easy to use, now and in the future. This requires a continuous and coordinated rapid response to browser updates and bugs, keeping up with the proliferation of tablets, smartphones, and ebook readers, and a consistent approach towards new functionality and performance improvements. All of this is important to the community, and requires dedicated time, effort and money. Our founding sponsors have been very generous in providing funding. However, as more and more individuals and organizations are using MathJax and its benefit to the community is growing, its base of support grew via the Sponsorship Program. To ensure the long-term stability of MathJax, we continuously reach out to the community and ask organizations to contribute to the MathJax project by becoming a Friend, Supporter, or Partner. All MathJax sponsors share a demonstrated and significant interest in the dissemination of mathematics on the web, in particular through the MathJax project and its activities. Please feel free to contact us for any further information about the sponsorship program. By becoming a MathJax Friend, organizations show the community that they support the goal of easy-to-use, high-quality mathematics display on the web for everyone, and are contributing in a very concrete way to help MathJax realize that goal. MathJax Friends will be listed on the MathJax Sponsors page. A name (with link) on the MathJax Sponsors page. Use of the term “MathJax Friend” in corporate communications. MathJax Supporters make an important contribution to the project and demonstrate their commitment to a durable math display solution for the web. Upon joining, Supporters receive exposure on the MathJax website, Facebook page and Twitter feed. This will alert their users to their interest in using the best math display technology to enhance their online viewing experience, and displays their support for a project benefitting the entire math, science, and education community. Supporters also receive informative quarterly reports giving insight into project timelines, development plans, and upcoming activities. These reports enable to better plan their use of MathJax to take full advantage of MathJax resources to benefit their users. Quarterly reports summarizing timelines, development plans and upcoming project activities. Prominent, exclusive announcement in the News section on the MathJax homepage, a Twitter post and Facebook update upon joining. A small logo (with link) on the MathJax Sponsors page. Use of the term “MathJax Supporter” and MathJax Supporter Badge in corporate communications. MathJax Partners are a driving force behind the project. They are discussion partners in determining the long-term direction of the project, and through exclusive benefits, we seek to ensure that Partners can offer their readers the highest quality math display and user experience. Partners receive priority support and consideration for enhancements through a dedicated technical contact. This technical contact will work to ensure that issues receive prompt attention and receive a timely resolution. The contact will also meet with Partners to understand their requirements, serve as a liaison to the technical team, and work with Partners to be sure their requirements are being addressed to the extent possible within resource and technology constraints. Quarterly reports on the financial condition and budget forecasts for the project. Organize one-on-one meetings, technical webinars and Q and A sessions with technical staff as needed. A press release (optionally joint) upon joining. A large logo (with link) and paragraph on the MathJax Sponsors page. Use of the term “MathJax Partner” and MathJax Partner Badge in corporate communications. For individuals and organization who would like to support MathJax, but aren’t able to become an official sponsor at this time, individual donations are also possible in any amount via the Donate button on the mathjax.org web site. The AMS, founded in 1888 to further the interests of mathematical research and scholarship, serves the national and international community through its publications, meetings, advocacy and other programs, which promote mathematical research, its communication and uses, encourage and promote the transmission of mathematical understanding and skills, support mathematical education at all levels, advance the status of the profession of mathematics, encouraging and facilitating full participation of all individuals, foster an awareness and appreciation of mathematics and its connections to other disciplines and everyday life. For more information, please visit www.ams.org. SIAM is an international community of over 13,000 individual members. Almost 500 academic, manufacturing, research and development, service and consulting organizations, government, and military organizations worldwide are institutional members. SIAM fosters the development of applied mathematical and computational methodologies needed in these various application areas. Applied mathematics in partnership with computational science is essential in solving many real-world problems. Through publications, research, and community, the mission of SIAM is to build cooperation between mathematics and the worlds of science and technology. For more information, please visit www.siam.org. Stack Overflow is the preeminent site for programmers to find, ask, and answer questions about software development. Founded in 2008, co-founders Jeff Atwood and Joel Spolsky brought together millions of computer programmers from around the world to help each other with detailed technical questions. Based on Stack Overflow’s success, the company expanded and launched the Stack Exchange Network in August 2010. Stack Exchange currently consists of over 100 sites and and more than 3 million active users. For more information, please visit www.stackoverflow.com/about. The Institute of Electrical and Electronics Engineers (IEEE) is the world’s largest professional association dedicated to advancing technological innovation and excellence for the benefit of humanity. IEEE and its members inspire a global community through IEEE’s highly cited publications, conferences, technology standards, and professional and educational activities. IEEE is designed to serve professionals involved in all aspects of the electrical, electronic and computing fields and related areas of science and technology that underlie modern civilization. Its 38 Societies and 7 technical Councils represent the wide range of IEEE technical interests. The IEEE Xplore Digital Library hosts more than 3 million documents, with more than 8 million downloads each month. For more information, please visit www.ieee.org. Headquartered in Amsterdam, Elsevier serves more than 30 million scientists, students and health and information professionals worldwide. With more than 7,000 employees in 24 countries Elsevier partners with a global community of 7,000 journal editors, 70,000 editorial board members, 300,000 reviewers and 600,000 authors to help advance science and health by providing world-class information and innovative tools. 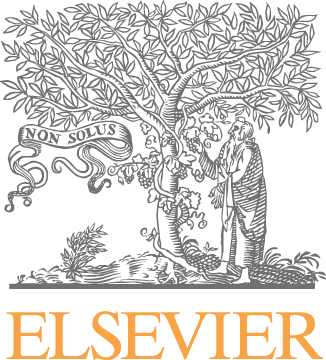 Elsevier is a founding publisher of global programs that provide free or low-cost access to science and health information in the developing world. With its roots in journal and book publishing, Elsevier has fostered the peer-review process for more than 130 years. For more information, please visit www.elsevier.com. The MathJax Consortium is a joint venture of the American Mathematical Society (AMS) and the Society for Industrial and Applied Mathematics (SIAM) to advance mathematical and scientific content on the web. support for LaTeX, MathML and other equation markup directly in the HTML source. an extensible, modular design with a rich API for easy integration into web applications. interoperability with other applications and math-aware search. The MathJax Steering Committee and the MathJax Technical Committee meet regularly to advise the MathJax team on its development goals and priorities. We’re grateful for the support of our committee members! MathJax grew out of the popular jsMath project, an earlier Ajax-based math rendering system developed by Davide Cervone in 2004. In the following years, there were many significant developments relevant for web publication of mathematics: consolidation of browser support for CSS 2.1, Web Font technology, adoption of math accessibility standards, and increasing usage of XML workflows for scientific publication. In 2009, AMS, Design Science, and SIAM formed the MathJax Consortium to enable Cervone and others to design MathJax from the ground up as a next-generation platform, while still benefiting from the extensive real-world experience gained from jsMath. Since its initial release in 2010, MathJax has become the gold standard for mathematics on the web. The MathJax team is Davide Cervone and Volker Sorge with support by the staff at AMS and SIAM. Regular contributors include Christian Lawson-Perfect and Peter Krautzberger.